By creating a surgical instrument inventory, facilities can target the most utilized instruments, what sets are most effective, essential instruments, and helpful tray details. The list will serve as a vital guide for the purchasing manager to create an accurate budget. Continued maintenance of your surgical instrument inventory will ensure a fully stocked facility, surgeon satisfaction, and financial benefits to your healthcare facility. Once your facility identifies its surgical instrument inventory, the next step is to create a budget. This may be the most challenging process due to the wide selection of distributors, inventory turnover, product quality, and evolving technology. Each factor has a unique role in budgeting. For instance, advancements in technology have eliminated minor surgical procedures, therefore, a particular instrument may no longer have a purpose at your facility. Another example is the growth of the disposable instruments market. While several factors contribute to the decision making process, a budget will help your facility achieve cost effectiveness, patient satisfaction, and surgeon productivity. After creating a budget for your surgical instrument inventory, the next step is to research the market. The internet is an effective tool for researching the best value for surgical instruments. A simple Google search will lead you to pages of surgical manufacturers and distributors. Some surgical instrument suppliers offer customized trays or sets for common procedures. Most offer a variety of customizable trays and kits. At Sklar, we offer diversity in sets by specialty, type, and budget consideration. Sklar is set apart from most distributors since it’s been active in the market for over 120 years. With five major surgical instrument lines, Sklar is able to deliver superior precision, for any surgical procedure, at competitive prices. After receiving multiple quotes, you’ll discover quickly which distributor, prices, quantity and quality of instruments will fit within your budget. Lastly, build and maintain a relationship with the salesperson who handles your account. They will provide you with the best quotes, guide you through the buying process, and resolve any conflicts that may pop up. At Sklar, our goal is exceptional quality, service, efficiency and value for each client. Our sales team is always available by phone or email to answer any questions or concerns. If you’re going to invest your time in purchasing surgical instruments, why not invest your trust in your account representative? The purchasing experience will be easier, and positively impact your healthcare facility’s productivity, surgeon satisfaction, patient care quality, and cost savings. Search by product, then select the submit button. Akridge, Jeannie. 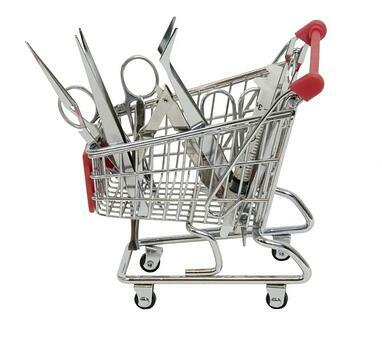 “Cost Cutting Requires Surgical Precision.” Healthcare Purchasing News Online. March 2018.